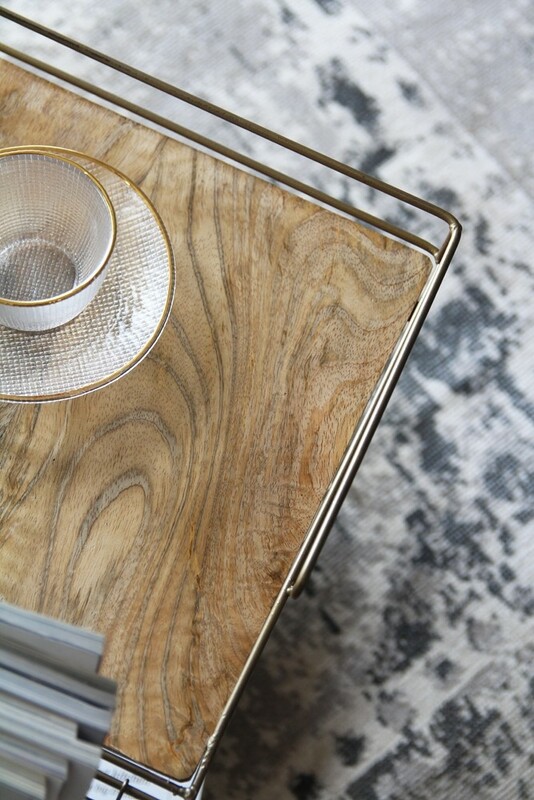 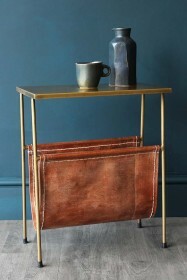 Here at RSG we believe if a product looks great and can be practical at the same time then we're onto a winner and this Brass Magazine Rack with Wooden Shelf is definitely winning in the style and practicality stakes! 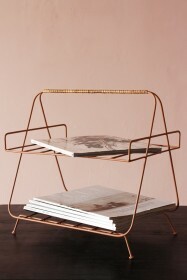 Use the rack as a miniature side table next to your chair or sofa and place your cuppa on the wooden shelf, your magazines and papers in the rack and your favourite catalogues and look books on the shelf below. 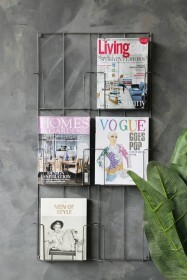 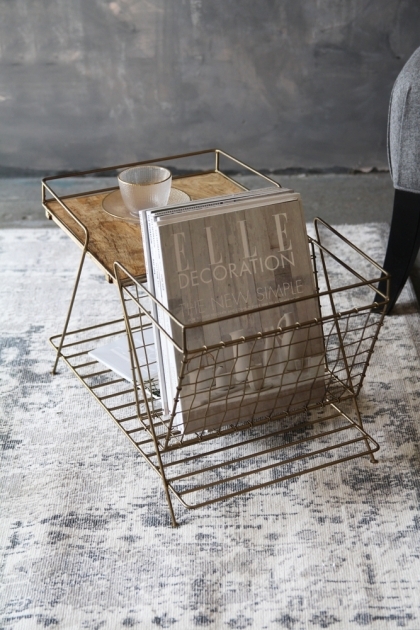 The brass finish means that this magazine rack will look stylish and elegant in your home and keep all your coffee table accessories neat and tidy.